March 16th, 2016: In today’s show I had the privilege to interview Dr. Susan Kolb. Dr. Kolb is a world renown plastic surgeon who specializes in breast explants and the detoxing necessary for improved health. I am indebted to Dr. Kolb for literally saving my life and now I desire to pay it forward and help as many people as we possibly can. Today’s interview we talk about silicone poisoning and how it is affected not just women, but men as well. Dr. Kolb’s book The Naked Truth About Breast Implants From Harm To Healing can be found at http://thenakedtruthaboutbreastimplants.com. Her surgical & wellness practice can be found at Plastikos.com. If you like my Mountain Woman Radio you can also Subscribe to me on iTunes. 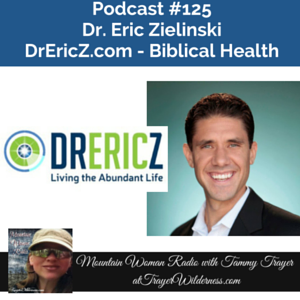 January 20th, 2016: In today’s show I had the extreme privilege to interview Dr. Eric Zielinski. We spoke today about biblical and natural health. Dr. Z is a wealth of information and his website DrEricZ.com should be bookmarked by all. Check out his Heal Your Gut Summit that is going on right now. So many things can be healed in our bodies by simply healing our gut issues. You can also find his Biblical Health Radio on iTunes. I felt compelled today to share with you some of the current situations in my home. As many of you know, my health is not in a good place. Before too long, I will be sharing with you what the causes are for my bad health, but in the meantime I would like to encourage those of you that may be in a similar situation, there is hope. There is hope for many things… A better life, better health and always happiness. Do you know we are responsible for our own happiness? Yes, this is a truth! We can not expect someone else to create our happiness. In my humble opinion, I think a lot of our happiness and wholeness comes from the walk we have with Jesus! The closer we walk with God the happier and more fulfilled we will be, no matter what our life circumstances. Do you allow your unfortunate circumstances to define you and affect you? This my friend’s is a choice. I have not felt well for well over 3 years now and as the years progressed so did the decline of my health. Honestly, it was a very scary experience because no matter how hard I tried to find the answers, there were no answers in site. There were so many things going wrong and going on at one time that it was hard to pin point my struggles, but by the grace of God and his amazing hand in my life, we now know what things are responsible for my declining health. Let me share this with you as well, many of you know I am a VERY VERY VERY active person and a go getter! I am no longer able to keep the pace or do the things I was always able to do. Since October when my health rapidly declined I am couch bound and often so uncomfortable that standing, nor sitting, nor even laying down is comfortable which leaves me turning to God in prayer for his comfort, peace and removal of my pain. Perspective and our choices play a very BIG role in all of this. When I get bummed out, have unfortunate circumstances or am not well – I battle more with myself than anything… I do not allow my circumstances to rule and I battle with keeping a gloomy perspective on things because I know without question there is always someone in a worse situation than myself. It is ok to be sick, to be bummed and we all have unfortunate circumstances and it is ok to feel the affects of those situations – it is not something we need to beat ourselves up for. It is ok to experience those feelings, but it is important to move past those feelings too! If we get stuck in a “woe is me” state of mind for too long we then become responsible for a very negative view of our situation and folks, negativity breeds negativity. So when I experience such situations, I have learned to allow myself to experience those new feelings and then I start looking immediately for the shiny side of the penny in my situation. No matter what the circumstance, I will always do this. Why? Because I truly feel that God uses all our circumstances for the good, IF WE ALLOW HIM TOO!! The enemy looks for openings to slither in and work us over… Negative things run through our heads such as, you will never be well, you are going to lose your home if you can’t find work, your vehicle is not fixable, etc… He is what creates that negative self talk we are ALL so good at!! Yes – I too, even being as positive as I am, have to pay great attention to what is going on in my head… I have learned that anything negative in my head is the enemy trying to win me over, trying to seep in and weaken me so that I will continue to listen to more of his negativity. I was hearing him say that I was USELESS last week when I was couch bound and others were doing my chores. I started to listen and was even reduced to tears in the changes in my life, but you know what? He is WRONG!! I was still working while on the couch and I am not USELESS – I am temporarily benched and needing to slow down, but at the same time I am BLESSED with the angels God has so conveniently provided just when I needed them most! Seeing the good in our circumstances can be hard at times, but I know if you look hard enough you will find the blessings no matter how small. You need to make a conscious effort to look for the blessings versus allowing your circumstances to consume you and define you. When you put your focus on the blessings in even the worst situations you are reprogramming your brain to look for the positive instead of being stuck in the negative. This is one of the best habits you could create in your life and I promise you the rewards are great! Often times, our circumstances require us to be creative. I LOVE being creative in my life. I can thank my son for the creative spin I put on my life because it was what I needed to do to help him to conquer his autism. I will give you an example of how I was creative. I was very seriously feeling useless and it was because I was thrown into a new routine with a protocol I am doing for my health. I am having to soak my feet and do some unique treatments which are taking at least an hour to an hour in the half in the morning. My mornings are my power time of the day, I am a morning person and I do my best thinking and am the most productive in the wee hours of the morning when things are quiet. I was giving up my most productive hours in my day to the new protocol when the new protocol did not need to be a morning thing – they just needed to get done. I realized why I was so disheveled and changed my schedule in that I took back my power hours with God and my work and when my house comes alive and there is a lot of activity and things going on – I could soak my feet and do my treatments which has also enabled me to have some very personal time with my family so it actually has given me two wonderful things – the feeling of self and use and the personal time with my family that I hold near and dear. As many of you will learn in taking my new course Getting Organized In A Crazy, Busy World in the new year, I am a very organized person and when we pay attention to our needs, our calendars and our goals and put God and our families first everything else just falls into place. For those of you that are dealing with poor health, debilitating or chronic illnesses or unfortunate life circumstances, I encourage you to pause, pray and take a look in your life for the blessings. Don’t let your circumstances and the enemies negative talk define you. With the help of God, be BIGGER than your life circumstances. Choose to be a light to others and allow God to use you! I feel so honored to be going through my current circumstances because I know God will be glorified and there is great purpose in all of this! I do know how hard this can be and I also do not want to down play the emotional side of things. 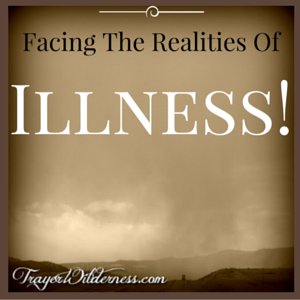 Be sure to read my next post The Emotional Side of Sickness because there are ways you can help others around you to cope with sickness and their struggles. If you or someone else is in need of prayers, by all means, feel free to email us at survive@trayerwilderness.com so we can add you to our daily prayers! 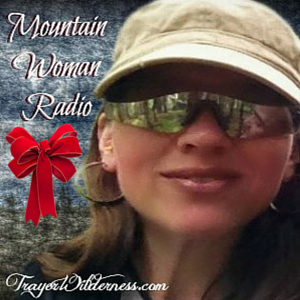 Mountain Woman Radio is available every Wednesday either on our website or iTunes. Mountain Woman Radio is loaded with inspiration, encouragement and knowledge on self-reliance, preparedness, sustainability, homesteading, off-grid living, wilderness survival, day to day life, autism, traditional and primitive skills, gardening, canning and so much more. Not to mention, there are guests from all walks of life joining frequently to share their stories. Not everyone is able to listen to podcasts due to poor internet connections and such, therefore, we have created cd’s so that you can listen at your convenience as well as gift them if you feel so inclined. Have you always wanted to take an Herbal Course, but you’ve been afraid of embarking on that online course by yourself? Were you putting it off, waiting for that perfect moment? Well, NOW is the time! I have been self-taught and have had wonderful influences in my life that have shared and taught me AMAZING uses for the plants in my surroundings, but I have never officially taken a course. I have been passionate about natural health and natural medicine since I was 14 years old and just as passionate about continuing to learn and educate myself! It would make me SO happy to be able to have others join me on this journey so we can learn together and celebrate our accomplishments together as well. There is SO much to learn when it comes to natural health and although I am pretty well versed on utilizing herbs and medicinal plants I wanted to start from the beginning so there was nothing I missed. I will them continue through the Intermediate Course as well as the Advanced Course. 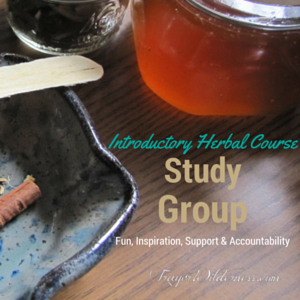 So I hope you are ready to join me for the Introductory Herbal Course Study Group!!! I will be taking the Herbal Academy of New England’s Introductory Course. The course is made up of 6 units including over 30 lessons and bonus lessons. The course is expected to take between 4 and 6 months to complete. Keep in mind that this course is at your own pace so if you are a faster learner it could be quicker for you and if you would need more time the course materials will continue to be available to you. My goal is to move through this course along with you and provide email encouragement as well as a Facebook Group where we can communicate, share ideas, answer questions and encourage each other along the way. As soon as you can…. If you would like to participate in my Study Group for this course, you will need to sign up using this link: Herbal Academy of New England’s Introductory Course and in the notes at checkout please note that you are participating in the Trayer Wilderness Introductory Course Study Group. 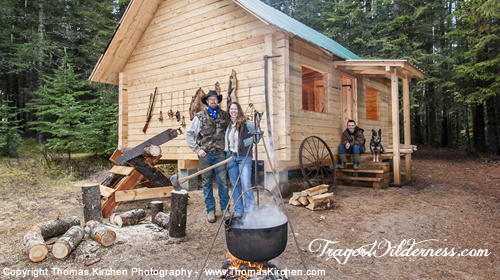 Once you are signed up and have received your email receipt, please email that to me at oils@trayerwilderness.com. Once I have confirmation that you are officially signed up, I will send you an invitation to the Private Study Group area. I look very forward to having you join me on this venture. One of my biggest goals is to be able to not only care for my family in the herbs and medicinal plants in my surroundings as well as my garden and being able to help others become more knowledgeable. I feel that our health needs to be in our hands! Please let me know if you have any questions. You are welcome to email me anytime! If now is not a good time, but you would like to participate in the future, be sure to sign up for my newsletter here so you will be the first to know about my next Study Group. Here is what some of our members are saying…. I’ve been taking the Introductory Herbal Course through the Herbal Academy of New England since the beginning of October. 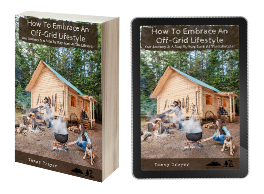 I learned of this course through Trayer Wilderness and Tammy’s desire to put together a group where we can all discuss the material, help each other, and share anything of importance to us. The chosen format for group conversation is great in that it doesn’t require use of Facebook where you can easily get distracted. The members of the group are wonderful. Even though we all go at our own pace it’s supportive and lively. The best part about the group for me is the motivation to get through the material. We all have busy lives and can easily put off a class that is to be done at your own pace from the comfort of your home. Even though I’ve been extremely busy I find that I make time to do the class material so that I can continue to be a contributing member. If you have the opportunity to take the class and join the group I would encourage it. – Michelle H.
Hi Tammy, I just want to let you know how excited I am about participating in this study group. I have wanted to learn more about herbs for a very long time. Being part of this group will help hold me accountable. Having others to talk to who are like minded is nice. Sharing what we’re doing apart from the herbal studies, being able to encourage one another, picking each others brains, having others to talk to and get their input on things, all of this is important and what an encouragement! I’m sure we are all at different levels when it comes to the knowledge of herbs. I know very little and have already picked up on information left on this board by others. This will add so much to the course material. Learning from others can be so enriching. Thank you for putting this together and I would encourage those who may be on the fence about taking part in this to jump right in. It has already been nice to start to get to know other participants and I’m sure we’re all in for an eye – opening, fulfilling experience! – Rhonda W.
It was a great honor and privilege to be a part of the Beyond Off Grid Summit/Webinars. As you all know, we feel very led to share our knowledge, skills and inspiration in these uncertain times. We decided to give you a tour of our homestead, show you around a bit and offer some tips and tricks along the way. If you missed the live presentation, you can catch the tour here. If you are unfamiliar with our personal story, you can read more about us in detail here. P.S. – We would love to have you join our newsletter and check out our Academy!